Toshiba e-STUDIO Monochome Line For SMBS Expanded! Home / accessories / news / toshiba / Toshiba e-STUDIO Monochome Line For SMBS Expanded! Late last February, Toshiba Corporation unveiled their newly-minted monochrome multifunction product (MFO), the e-STUDIO 2303A. It's the latest addition to the industry's highly acclaimed e-STUDIO monochrome line that enables SMB owners to affordably manage printing, copying and scanning needs. Toshiba touted an array of standard and optional features inside their rugged and compact chassis. That includes their ledger-size MFP to complete any print job. 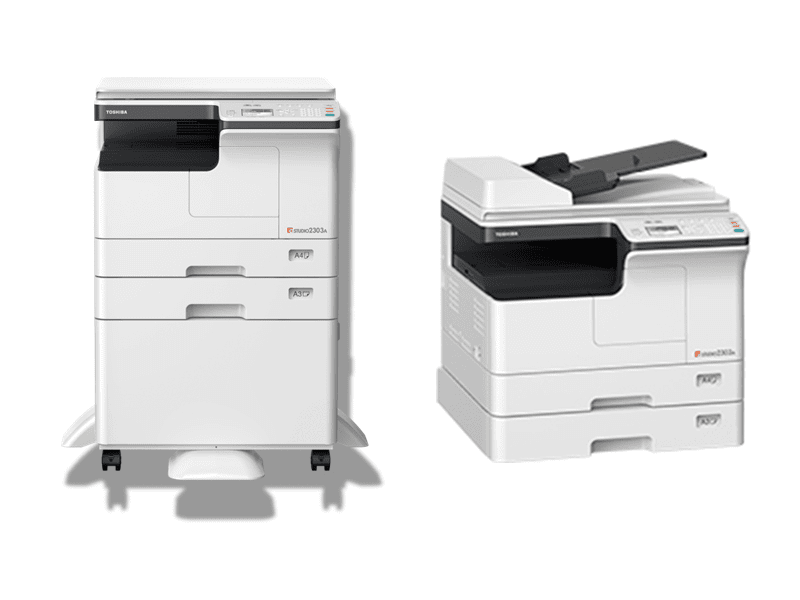 It also touts a 2,400 x 600 dpi resolution and up to 23 letter sized ppm (pages per minute) output. In that sense, the e-STUDIO 2303A is ensured to deliver crisp and clear text to impress professionals. This machine can also conserve paper while optimizing document space and has an option for automatic duplex unit to seamlessly do two sided printing. It can also scan color documents up to 25 ppm for your electronically delivered vibrant materials. The technology behind that is the combination of an accelerated 18 second warm up time and first copy out time of less than 5 seconds. There's also a standard 350 sheet capacity that has a room for 600 sheets with an addition of another paper drawer, making it suitable in any office environment. Aside from that this model also supports Stringent Restriction of Hazardous Substances directive - or RoHS - compliance and given the ENERGY STAR certification. As a whole, the e-STUDIO 2303A afford ably equips customers with feature-rich monochrome products in spacesaving footprint that compliments existing print fleets. "The robust functionality of our new product comfortably fulfils the content management needs for individual workgroups and smaller businesses.” says Andy Ow, Country Manager for Philippines. 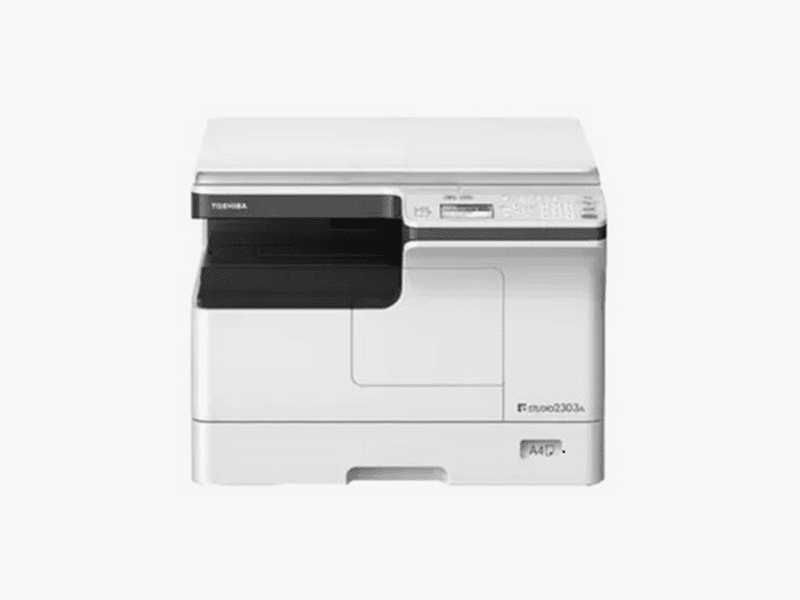 The e-STUDIO 2303A is now readily available through authorized Toshiba dealersnationwide. Just visit www.tricom.com.ph, call 890-6525 or tweet @TricomDynamics for other details, price and availability.